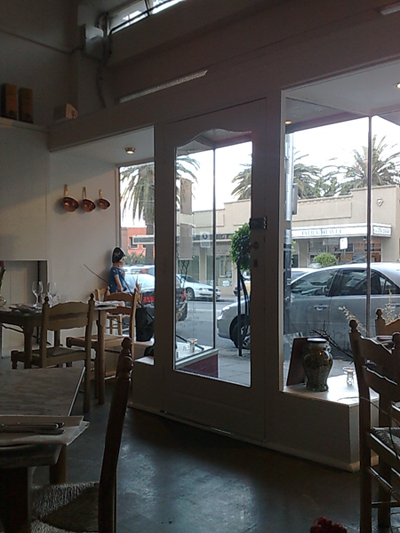 It's hard for me not to think of Frasier when dining at Maris but once you eliminate that connection, you'll find yourself in a rather compact restaurant located in the less salubrious end of Glenferrie road. 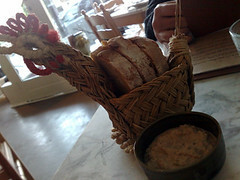 Paalo wasn't too impressed with the bread chicken but the bread itself was excellent as was the olive dip served alongside. 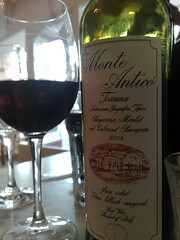 The wine we selected was a 2004 Monte Antico, a sangiovese blend from Tuscany. 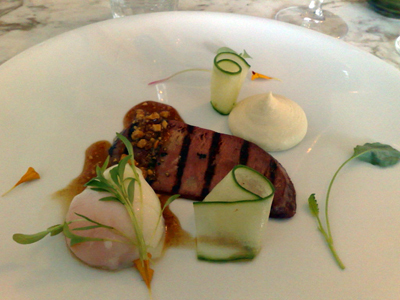 Paalo had the grilled tongue served with a slow cooked egg, salted caramel, cauliflower puree. 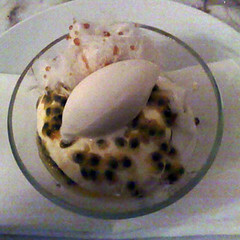 This was a dish that certainly had us reminiscing about Fenix. I had the quail dumplings with almond cream and flaked almonds - it may not be very photogenic but it certainly was tasty. 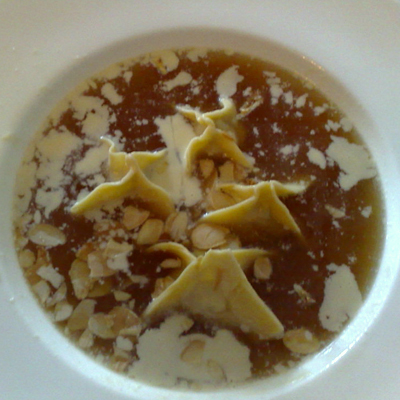 At the base of the dish is a surprise of spherisized stock. 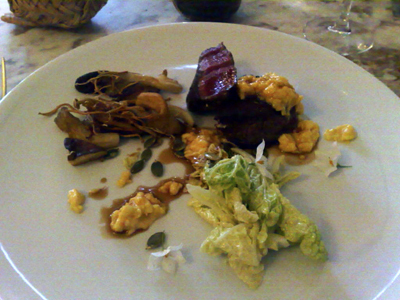 I had the beef fillet - cooked rare served with sauteed mushrooms, egg and cabbage. One of the more perfectly pieces of beef I've had - wonderfully tender with excellent flavour. 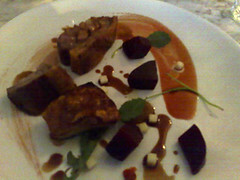 Paalo had the suckling pig with smoked beetroot and apple cubes -the pork was tender, the crackling appropriately crunchy. 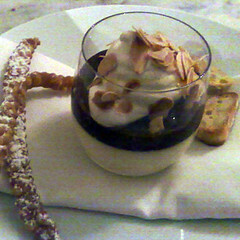 The smoked beetroot were particularly good. 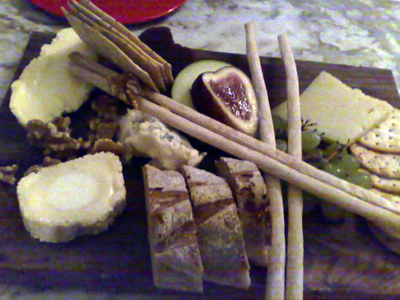 4 cheeses served with an excellent assortment of breads and crackers.